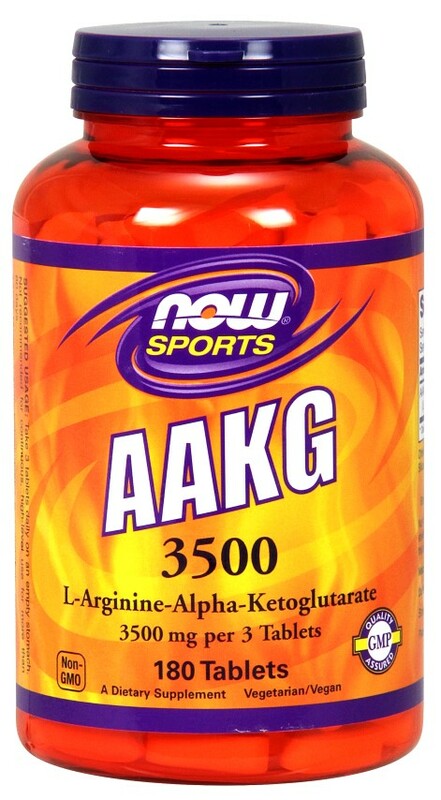 NOW++- AAKG contains Arginine, a conditionally essential amino acid that has a number of vital roles in human biochemistry. Arginine plays a pivotal role in the urea cycle, helping to rid the body of excess ammonia. This amino acid is also important in protein synthesis as well as for the support of healthy immune function. NOW++- AAKG has paired Arginine with Alpha-Ketoglutartrate, another key player in amino acid metabolism, as well as in energy production. * Consumers will find that NOW++- AAKG compares favorably to similar products on the market, but with the additional benefit of a 3500 mg dose and value pricing. Suggested Usage: As a dietary supplement, take 3 tablets 2 times daily on an empty stomach, preferably in the morning and one hour before workouts. Not recommended for continuous, high-level use for more than 60 days. Other Ingredients: Cellulose, Stearic Acid (vegetable source), Silica and Vegetable Coating. Vegetarian/Vegan Product.